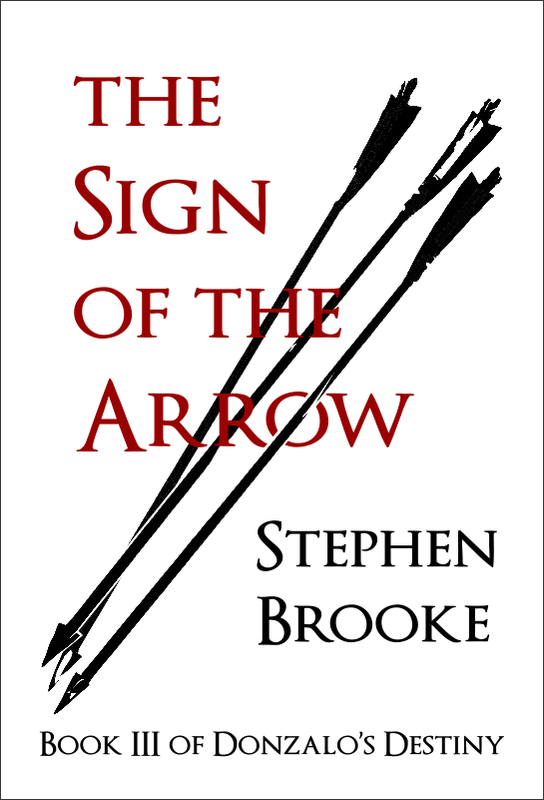 This is something very close to the finalized cover for THE SIGN OF THE ARROW. Clean and minimalist, as I prefer. No lurid cluttered art for me! I've been busily rewriting and checking for inconsistencies and such (with my fairly detailed notes I don't get many of those, yet they do creep in). I'm going to give the manuscript one last read-through before it goes to the next phase of edit and format. Official publishing date could be as early as August first. Then, on to the next (and probably last) book in the series? Maybe. I should probably let the project cool off a bit and come to it with a fresh look in a month or two. But the ideas are floating about in my head so I will at least be jotting down notes and rough outlines. The fourth book of Donzalo's Destiny is, by the way, tentatively titled THE HAND OF THE SORCERER.